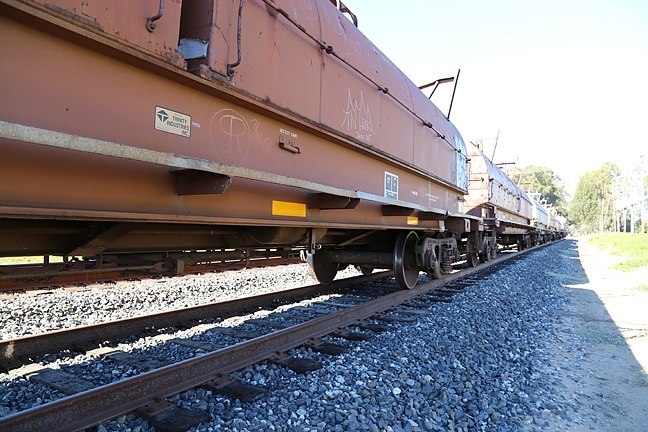 Safety on the tracks: A rail project proposal has caused debate among coastal residents, but how safe is rail transport in general, and are first responders ready to handle a potential emergency? Miles and miles of railroad track snake up the California coast though big cities and small towns. For coastal residents in SLO and Santa Barbara counties, those rails and the trains that run on them were a seemingly banal part of every day existence. Walking in cities like Santa Barbara, Guadalupe, Pismo Beach, and San Luis Obispo, residents see the tracks and hear the sounds of trains every day. So ubiquitous was the presence of the railroad that what was once considered a modern marvel and a near-miraculous revolution in transportation and technology, is now a nearly invisible, anonymous fiber in the fabric of life on the Central Coast. Heated debate over oil trains has Central Coast counties thinking about the broader issue of rail safety. But that changed in 2013 when oil giant Phillips 66 rolled out a proposal to build a rail spur that would allow the company to transport crude oil by rail to its refinery on the Nipomo Mesa. The proposal met instant backlash from groups of residents and environmental organizations that are still urging cities and politicians up and down the coast to oppose its approval. Aside from citing environmental concerns, opponents point to potential safety hazards along that coastal railroad track. 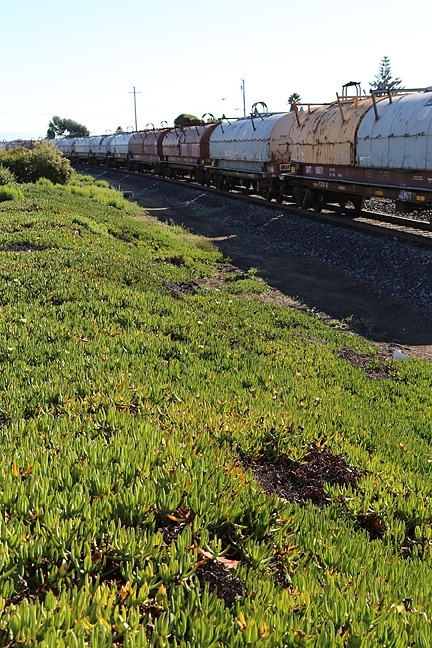 They packed city council meetings in places like Goleta, Guadalupe, Grover Beach, Paso Robles, San Luis Obispo, and others, warning of the potential for mile-long trains carrying crude oil to derail and possibly explode in a populated area. They raised apocalyptic visions of the possible fallout: scorched blast zones, large fireballs, train cars launched into the air, black clouds of burning oil smoke rising into the sky above scenic costal cities. “Yes we are playing oil roulette … and don’t think it couldn’t happen here on the Central Coast,” Gary McKible, a member of the Mesa Refinery Watch Group, gravely told Pismo Beach City Council members at a Sept. 1 meeting. While opponents of the project are focused on the dangers of oil, the discussion raises the broader issue of rail safety. The questions seem never-ending: How many trains are coming through the area? What are they carrying, and how much of it is dangerous? How safe are the trains and the tracks? If something happens, who is responsible? These are the questions that costal counties, cities, and citizens are now trying to address and answer. The nation’s railroads are primarily owned and used by private companies. The regulation of those companies, some of which have been around since the 1800s, falls in the hands of the U.S. Department of Transportation’s Federal Railroad Administration. Originally founded in 1966, the FRA is one of 10 agencies within the DOT concerned with intermodal—i.e., rail, ship and truck—transportation, with a mission to “enable the safe, reliable, and efficient movement of people and goods for a strong America, now and in the future.” The FRA also keeps detailed records about train accidents, including those that occur in California. According to the FRA’s data, there was a total of 263 railroad accidents between 2012 and 2014 in California. An accident can range from collisions to derailments and cover both commercial goods and passenger transport. Of the total number of accidents, roughly 190, more than 50 percent, of those accidents were derailments. Ten of the recorded accidents for the same time period involved “fires or violent ruptures” according to the FRA’s data. Year-to-date in 2015, the agency reported 66 total accidents, with 46 derailments and just three violent ruptures or fires. Trains transport a massive amount of commodities though the Central Coast, including hazardous materials like crude oil and propane. Both San Luis Obispo and Santa Barbara counties have gotten off easy when it comes to accidents and derailments between 2012 and YTD 2015. 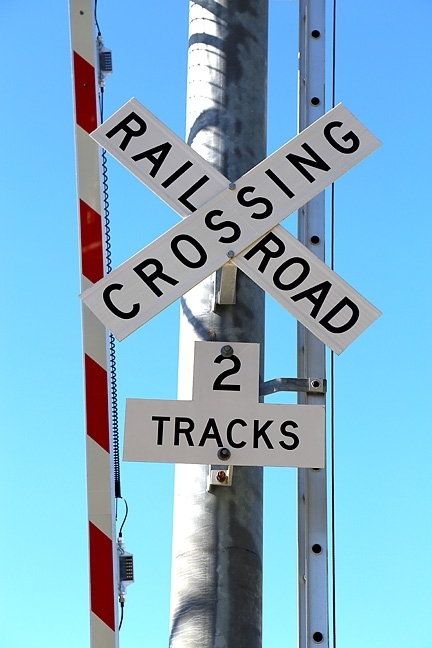 There was just a single accident in SLO County, which occurred in 2014 when a Union Pacific train stuck an object on the tracks, resulting in no injuries and more than $12,000 in damages. Santa Barbara had a single rail accident in 2014 as well, which was classified as a “highway-rail impact” that resulted in a single injury and more than $15,000 in damages. Many trail opponents, like McKible, have their own set of numbers, arguing that approval of the project will bring five mile-long trains with 22 oil-hauling tankers, carrying between 26,000 and 28,000 gallons of crude oil along the rail line each week. They argue that it would only take one such explosion to not only kill or injure innocent bystanders, but do irreparable damage to the property and economy of the town or city unfortunate enough to host such a catastrophe, pointing to recent disasters involving oil trains as examples. In February, a train carrying 100 tankers of crude oil derailed in Mount Carbon, W.V. Several of the tankers leaked, caught fire, and exploded. In the wake of that accident, Two nearby towns were evacuated, 1,000 people were displaced, and a water treatment plant shut down due to fears that crude oil had contaminated a river. While the debate about the Phillips 66 rail spur project will continue to rage until the final decision is made, the truth is that trains are already running up and down California, and some do carry hazardous materials like crude oil, propane, chlorine, and others. If the rail spur project is approved, Union Pacific will be the one to transport the Phillips crude oil whether they want to or not. Union Pacific is a private, for-profit company, but it is also classified under Federal Law as a common carrier, which means it’s obligated to transport products, including hazardous material, as long as it is packaged within federal regulations and guidelines. “We can’t decide which kind of product we transport and which we don’t,” said Francisco Castillo Jr., spokesman for Union Pacific’s Western region. Railroad companies like Union Pacific are considered common carriers by the federal government and can’t refuse to ship hazardous materials if they are packaged within federal regulations. Castillo cited a fact that has been repeated several times in the oil train debate: Crude oil accounts for less than 1 percent of the company’s business in California, with Union Pacific reporting about 1,000 to 1,200 carloads of crude moving in the state each month. Even with other hazardous materials included, the volume shipped or received by the company in California doesn’t crack its top five commodities, which include wholesale goods, stone and gravel, food and drink, cars, and auto parts. A train carrying non-hazardous commodities can have an accident or derailment, too, but Castillo was quick to stress the company’s commitment to safety; both preventative and in assisting when something does go wrong. He said the company has poured billions of dollars into trying to improve safety and decrease derailments on more than 3,200 miles of track in the state. “We have a very aggressive safety program in California,” Castillo said. According to the company’s own information, Union Pacific spent $31 billion of private capital from 2005 to 2014 and plans to spend an additional $4.3 billion in 2015. That money went to safety improvements like developing and using laser and ultrasound technology to detect rail defects, providing training for employees and first responders, and running a “vigorous” track inspection program that employs 43 full-time inspectors and 480 track maintenance employees in California alone, according to Castillo. The results of that investment, as well as other safety measures put in place to curb accidents, has paid off, with Union Pacific reporting that it has decreased derailments by 38 percent in the last 10 years. Data from the FRA show that overall accidents for Union Pacific in California dropped from 119 in 2006 to 39 in 2014. Derailments dropped from 100 in 2006 to 26 in 2014. Obviously, accidents still do happen. The FRA reported that the company experienced 151 rail accidents in California between 2012 and 2014. Of that total, 115 were classified as derailments. Year-to-date 2015, the company experienced 37 accidents, with 26 classified as derailments. Mike England, a spokesperson for the FRA, noted that not all derailments are necessarily equal. “Many derailments occur at low speeds in train yards,” he said. Union Pacific touts its safety record, but that doesn’t mean emergency responders are relaxing without worry. As the debate over the Phillips 66 rail spur issue continue to grow, cities and counties along the Central Coast are evaluating their ability to deal with major railroad accidents. Just how well could they respond to a worst-case scenario derailment disaster? That’s exactly the question Cal Fire San Luis Obispo County Unit Chief Robert Lewin hoped to answer in October, when his agency, along with a host of others in SLO County, conducted a simulated train derailment scenario. “We wanted to bring everyone together and see how we could work and communicate in that type of situation,” Lewin said. The accident cooked up was nothing short of a nightmare scenario: A train hauling multiple commodities, including crude oil and other hazardous materials, derails on a section of track along the Cuesta Grade. Part of the train damages the California Men’s Colony, causing multiple casualties. 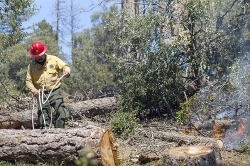 Some of the tankers leak oil into a nearby creek and cause structure and wildland fires. As a test for the SLO County Incident Management Team, the drill included more than 100 people from local and state organizations, including Cal Fire, the SLO County Sheriff’s Office, the SLO County Urban Search and Rescue team, the SLO County Hazardous Materials Team, the SLO County Public Health Department, the California Department of Corrections, and several local police and fire departments. Over the course of several hours, they worked though the stressful scenario, rescuing those who were trapped, identifying the injured and transporting them, extinguishing the fires, and trying to contain the oil that had leaked out of the damaged rail cars. Union Pacific says it invested $31 billion between 2005 and 2014 to improve safety. But rail accidents, particularly catastrophic ones, are always a mix of factors and still can present challenges for first responders. Trains often carry multiple commodities at the same time, creating the potential for a soup of hazardous materials, Lewin said. Even the sheer amount of the materials and goods being transported can present a challenge, he added. Finally, there is the matter of finding out exactly what is being transported. Hazardous materials and commodities and where and when they will be moved is information kept by railroad companies like Union Pacific, which is reluctant to share the information with general public, citing safety and security concerns. Union Pacific spokesperson Castillo said that the company follows all federal and state reporting requirements and also offers an app for emergency responders that gives them access to rail data, including the status of shipments and whether they are classified as hazardous. “We believe that the people who need to know have all the information they need,” Castillo said. The challenges of dealing with a catastrophic derailment are even more worrisome for small first-responder agencies like the Grover Beach Police Department. In a Sept. 9 letter to City Council members, Grover Beach Police Chief John Peters raised serious concerns about the city’s preparedness to deal with such an accident, saying the officers in his small department had little training involving derailments. The possibility of such an accident is all the more real for Grover Beach, a city that already had a close call with a derailment disaster. In August of 1986, a Southern Pacific Railroad train carrying flammable isobutene derailed in the city—then called Grover City—causing $286,000 in damage and the evacuation of 3,000 people, according to FRA records. According to reports in the The Tribune, then called the County Telegram-Tribune, three tankers on the train carrying about 31,000 gallons of liquid isobutene overturned after the failure of an axle bearing. Thankfully, the tanks weren’t punctured and didn’t leak. It wouldn’t be surprising if that incident was on the minds of Grover Beach’s current City Council members when they voted to draft a letter to the SLO County Planning Commission opposing the project. 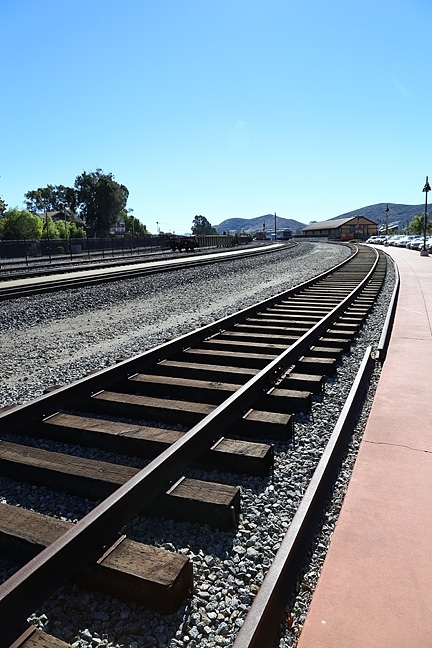 Grover joined a long list of other cities, counties, and groups that oppose the project, including SLO city, Pismo Beach, Paso Robles, Goleta, Santa Barbara County, and a host of others located north and south of the proposed site of the rail spur project. There were a total of 263 railroad accidents between 2012 and 2014 in California: 190 were classified as derailments. 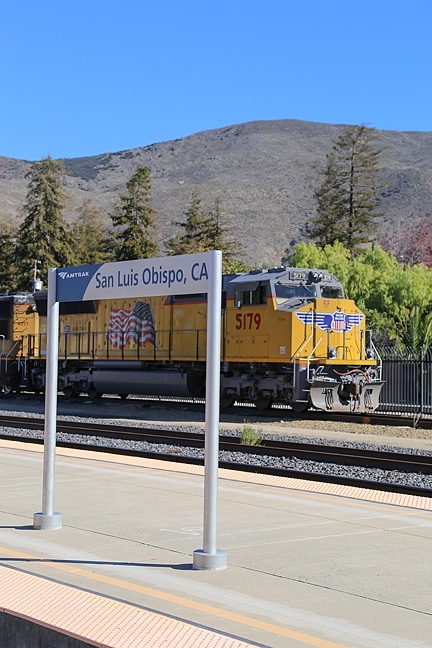 Whether or not the Phillips 66 rail spur project is approved and increases the number of trains going though the Central Coast, the railroads themselves and the commodities they currently carry though the area’s cities and counties aren’t going anywhere anytime soon. But the heated discourse over the project, which contains a tangle of issues—environmentalism, job creation, climate change, oil dependence—has, if nothing else, brought rail safety to the forefront of discussion. And while that heightened awareness means more talks, more debate, more emergency drills, more calls for training and funding and resources and information, the trains continue rumbling along the tracks, their sound as familiar as the ocean’s waves, or the calls of circling gulls. Engines of economy, ever moving in the background. New Times Staff Writer Chris McGuinness, from our sister paper to the north, can be reached at cmcguinness@newtimesslo.com, or on Twitter at @CWMcGuinness.